There is a growing belief that the work being done by the University of the Witwatersrand a few blocks away from its main campus could inspire the development of a new generation of digital technology experts, innovators and entrepreneurs. The area, called Braamfontein, is located in the centre of Africa’s most important business and economic hub. It is on the doorstep of one of the continent’s top universities, is well-connected by public transport, offers affordable rented accommodation and has an active nightlife. Drawing on models that have proved hugely successful in major cities around the world, Wits University is creating a large and ambitious Digital Innovation Zone not far from the university’s main campus. This zone is known as the Tshimologong Precinct (from the Setswana word for “new beginnings”). Braamfontein has many similarities to London’s East End which has morphed from a rundown inner city area to a vibrant technology cluster spawning innovative start-ups. The East End is being cited as an example of how, with the right investment, focus and infrastructure, inner cities can be transformed. 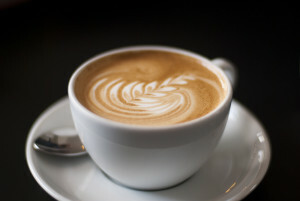 The title of the book refers to the type of coffee – flat white – most commonly ordered in the coffee shops of London’s East End. McWilliams describes how a small area in London is emerging as the driving force behind the British economy’s rapid transformation. The book is about the growth of the digital economy – which he has dubbed the “flat white economy” – and its role in shaping cities of the future. In the two years up to March 2014, nearly 32,000 new businesses were created in this single postcode – more than in all of Manchester and Newcastle combined. He estimated that this created about 300,000 new jobs. Most of these new businesses are in the digital economy. The project received a huge boost when IBM Research announced earlier this year that it would locate its 13th laboratory worldwide as part of the precinct. Other large companies, including Microsoft, the South African telecommunications group Telkom and Barclays Africa bank have also joined as strategic partners. Buildings in the area are being rejuvenated. In the meantime, the university’s Digital Innovation Zone has started operations in a nearby building rented by the university. This is hosting a R5 million innovation competition called the Hack Jozi Challenge sponsored by the City of Johannesburg. Hundreds of entrepreneurs entered the challenge. Similar programmes will be run over the coming months with the aim of seeking out Johannesburg’s innovative energy. The digital economy is everywhere … It has impacted all the sectors of the economy and social activities, for instance: retail, transport, financial services, manufacturing, education, healthcare, media and so on. It has implications much beyond Information and Communication Technology (ICT). In addition, the internet is empowering people in a new and different way to create and share their ideas, giving rise to new content, entrepreneurs and markets. We have hopes that transforming Braamfontein into Africa’s premier technology hub will inspire new talent, create jobs and lead to an economic renaissance – just like the flat white revolution did for London’s East End. Barry Dwolatzky is Professor of Software Engineering, School of Electrical & Information Engineering at University of the Witwatersrand.